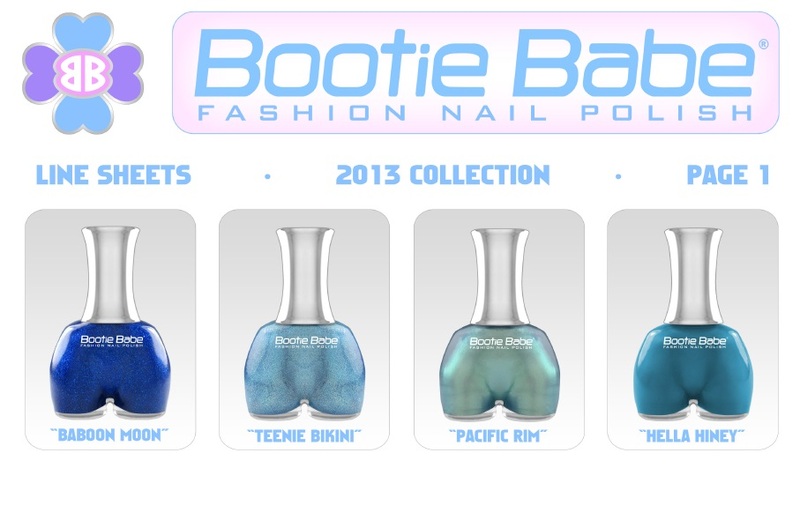 New Beauty Brand From San Francisco Marketing Line of Bootie Shaped Nail Polish. 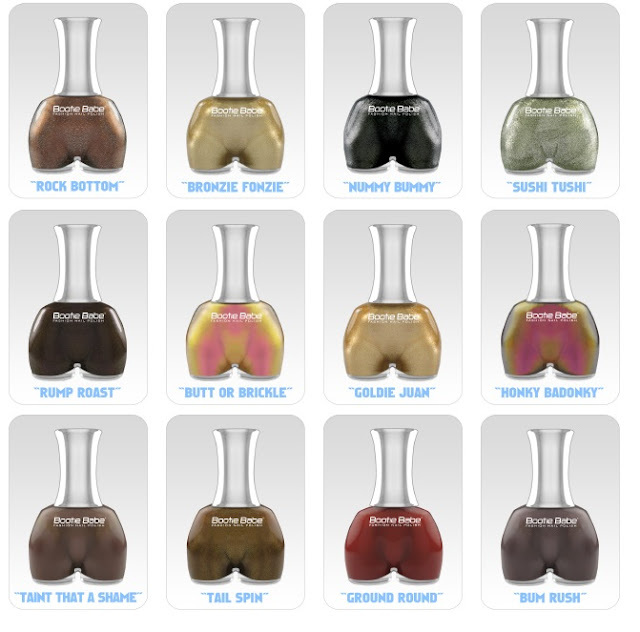 San Francisco, CA – SuperBooty LLC, the San Francisco based owner of Bootie Babe Fashion Nail Polish (http://bootiebabe.com) has partnered with Nubar Cosmetics (http://bynubar.com), a leading industry nail polish manufacturer based in San Fernando, California. Nubar will be the exclusive sales representative and private label manufacturer for the 2013 Bootie Babe Nail Polish Collection which includes forty eight lacquer shades and features cute and collectible bootie shaped bottles. SuperBooty LLC President and CEO Mark O’Hara is proud to be working with Nubar in 2013 and beyond: “I’m very happy to be represented by Nubar Cosmetics, an established, independent brand that is distributed to over sixty countries around the world. 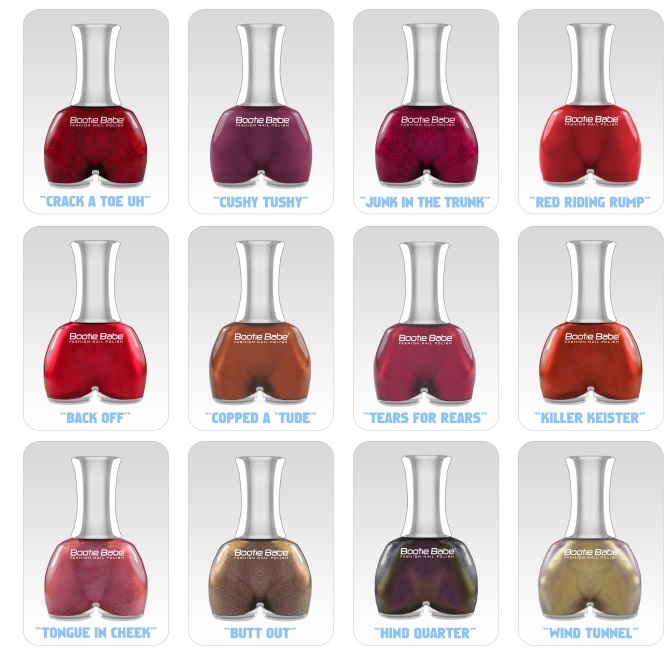 With names such as "Bodacious Backside", "Red Riding Rump" and "Uncanny Fanny", the Bootie Babe nail polish line has generated tremendous excitement all over the world. Each bottle weighs .5 oz (14.8 ml) and includes a tall cylindrical cap and Dupont® applicator brush for durability and ease of use. Each bottle comes with a glossy gift box and 3" Bootie Babe logo sticker. 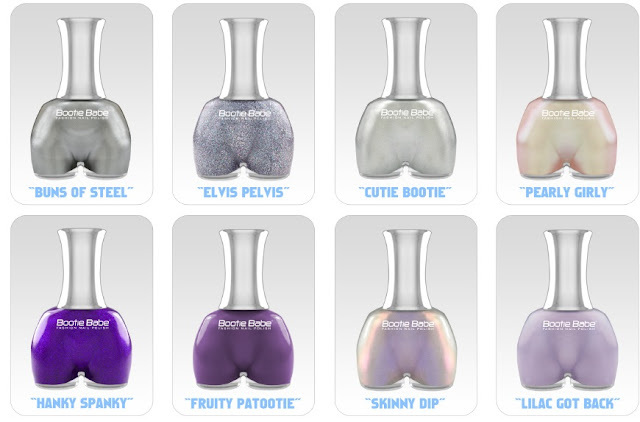 The Big Bootie Nail Polish Collection is now available for sale online and at wholesale prices for distributors and retailers both in the United States and internationally.